This week officially wrap’s up Nonfiction November 2017. I had a lot of fun over the past few weeks. I’ve bumped into some very cool bookish folks, found some new blogs to follow and most importantly – found some interesting books to read. I mean Mount TBR is never big enough, you know? It’s been a month full of amazing nonfiction books! Which ones have made it onto your TBR? Be sure to link back to the original blogger who posted about that book! Here are the books, with links to the blog posts mentioning them, that I ran into this month. The topics are all over the map and all had some very cool things said about them. Peter Orner’s Am I Alone Here? Thanks to LibraryThing, I have been tracking lots of data about the books on my shelves. Over the past few years I have been tracking not only where I buy a book from, but how I heard about the book. This piece of any reader’s journey fascinates me. How do we find the books we choose to read? A few years ago it was all Twitter for me. Looking at the numbers, I see that, for two years, podcasts were my #1 source for book recommendations. But this year is shaping up to be mostly books recommended by bloggers I follow or books I stumbled upon while visiting the library. There’s still a month to go and it’s too close to call. But either way, I think I like the way this is trending for me. I hope you found some interesting reads this past month. If you missed out on the all the fun, you can search for #nonficnov on all the platforms and I bet you’ll bump into someone there talking about good books. 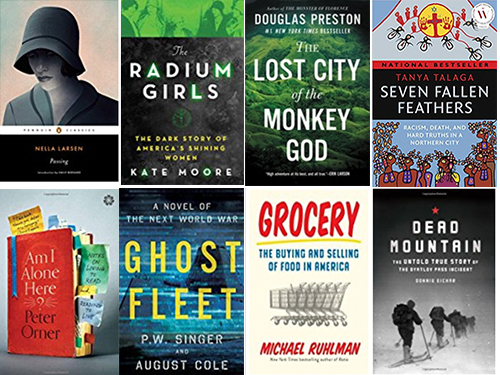 Thanks again to all the organizers of this year’s Nonfiction November. 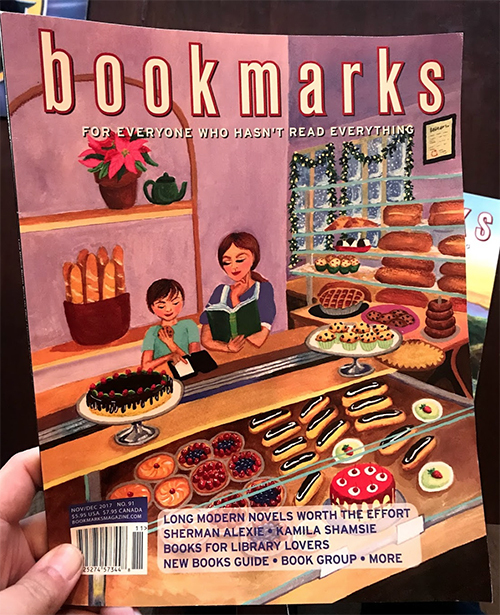 It’s a special day when my issue of Bookmarks magazine arrives in the mailbox every couple of months. It’s one of the few magazine subscriptions that I have held onto over the years and I can say with certainty that I will keep it as long as they stay in print. I’m always surprised how many bookish friends are unfamiliar with the magazine. Have you heard of it? It only comes out 6 times a year, but every issue is dripping with bookish info. At their core, they are a book review aggregator. 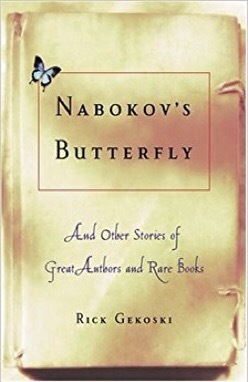 For every book listed in each issue, they offer a brief synopsis, their collection of snippets from well known newspapers and online book sections, and a brief synopsis rolling up all of those reviews they read and collected. I have to say it’s been fun reading the reviews over the years and having a sense of how The NY Times and Washington Post and Huffington Post may differ on genre’s or authors or writing techniques. You really start to get a feel for the people behind the reviews, simply by paying attention to the trends over time. Every issue always features a Book Club. This is always the first thing I turn to in each issue. It’s fun to read how all of the book clubs got started and how long they’ve been together. It’s also neat to read which books worked and did not work for their group discussions. Bookmarks magazine also runs features each month. These spend a few pages talking about an author and their work as a whole, going title by title. 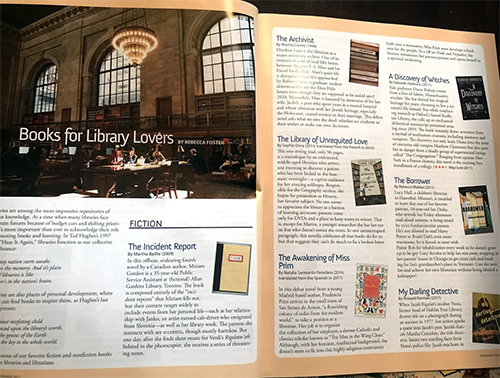 Or (November/December 2017 issue) they’re focusing on “Books for Library Lovers”, which is a topic I will show up for! If you keep up with the ‘book space’ then you’ll probably recognize 40% of the names, books, stories, etc. in each issue. I mean, all those books and authors are popular for a reason. But the rest of it is made up of reader-submitted lists, collections, recommendations and of course, the aggregated book review list. It’s so fun. 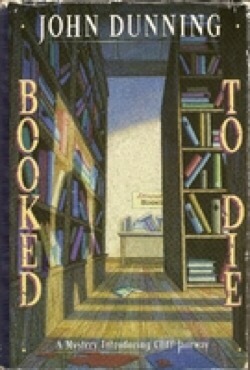 I’m always looking for other Bookmarks readers to converse with. Do you read Bookmarks magazine?